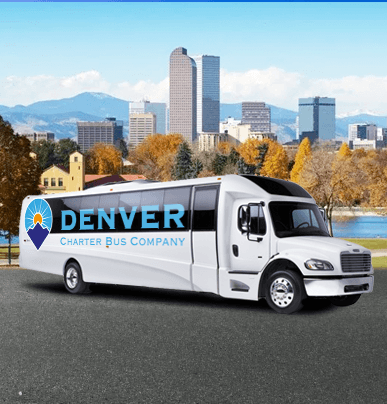 If you’ve got a large group in need of spacious and comfortable transportation, the 56-passenger charter bus is for you. With reclining seats, entertainment options, large luggage bays, air temperature controls, and on-board restrooms, these spacious coaches are designed to make long-distance travel easy and comfortable. 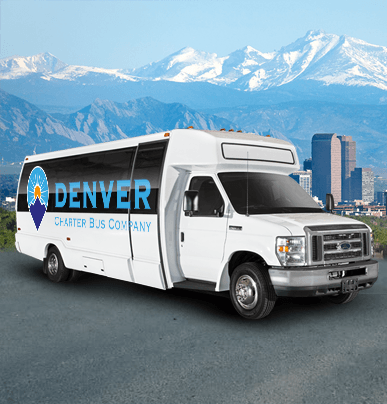 Denver Charter Bus Company has everything you need to schedule the perfect group transportation for all of your upcoming events. Whether you need in-town transportation or cross-country accommodations, we’ll find the perfect bus for you. Call us at (303) 495-2341 to learn more about how we can help with your next school trip, wedding, business trip, sporting event, or other group activity! 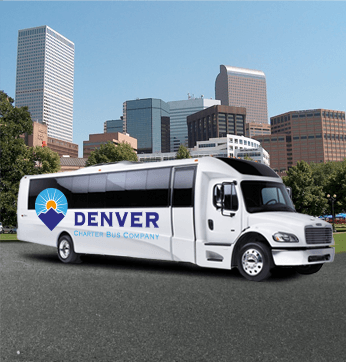 If your group is too small for a full-sized motorcoach, but too large for a smaller minibus model, then the 25-passenger minibus is the perfect option. Travel together and stay organized while your ride around the city and enjoy chauffeured services for an event. Smaller groups can also ride together in style and comfort with the 18-passenger minibus. Because of its compact yet durable frame, this model is best for traveling around town and works well for shuttle services for weddings, corporate events, and other special occasions. 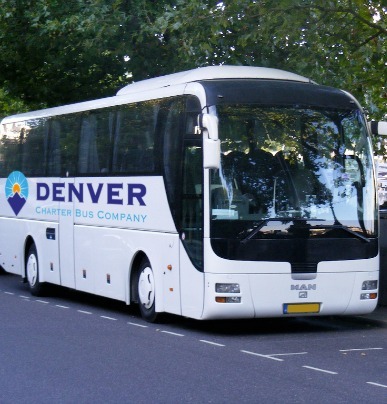 As the most spacious bus option available, the 56-passenger charter bus rental is the best choice for larger groups. Ride in complete comfort on long-distance trips with premium amenities and plenty of storage space for luggage and personal belongings. Small- to medium-sized groups often rely on the 20-passenger minibus when they want reliable group transportation. Travel short distances and stay organized for special events, like weddings, conferences, tours, and more.